Successful fly fishing often requires seeing the fish before they see you and that needs a quality pair of fly fishing sunglasses designed to cut the glare and allow you to see through the water’s surface. But the market is full of sunglasses, all claiming to be the best, so the question is “Which pair is the best fly fishing sunglasses?” We have done the research for you and listed the various features, pros and cons of each for any easy comparison. 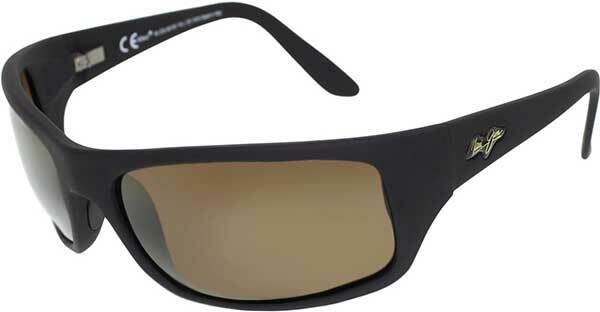 Our choice for best fly fishing sunglasses? The Costa Del Mar Fantail. Take a look at what we have found and see if you don’t agree. ​Lenses are available in either glass or polycarbonate. Specifically designed to meet the needs of anglers, including fly fishing. Plus 2@2 polarization blocks UV, boosts color and increases contrast. Available in prescription lens option. Full wrap around design provided extra protection from side glare, a big plus when on the water. Wide selection of frame colors and interchangeable lenses. Frames extremely durable and designed to resist slipping due to sweat or water. Excellent design, especially for smaller faces. Offers a bit of a retro 80s look, something older buyers may enjoy. Slim, lightweight design remains comfortable all day long. Made from 53% organic material. A combination of sporty styling and hydrophilic nose/temple pieces provides wrap around protection without “pinch”. Low distortion, even when using a smartphone. 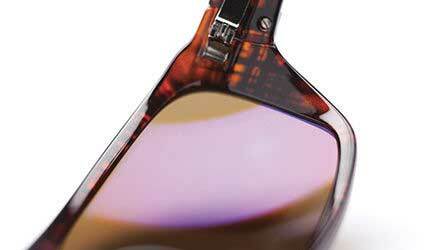 Lenses will adjust shading slightly depending on conditions. Lower profile design does not provide the same visibility or 360-degree protection found in modern designs. Limited selection of frame/lens colors. Low ventilation means lenses fog more readily. If you are in the market for fly fishing sunglasses, and the price is no barrier, then you cannot go wrong with The Costa Fantail. They offer 100% protection from UV A/B/C, excellent polarization and superior contrast all in a lightweight design with lenses thinner than most competitors. 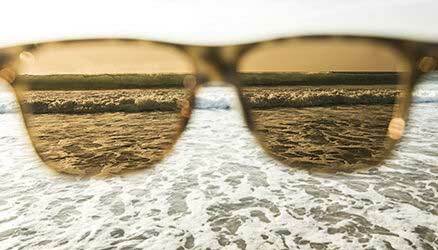 Maui Jim is well known for making sunglasses designed to withstand the harsh conditions of the marine world, and these are no exception. From the non-corrosive hinges to the special coating designed to withstand salt water, these glasses will give you many years of service. It's definitely one of the best fly fishing sunglasses available, especially if you do your fly fishing in a salt water environment. The Gas Can design has been in a field test for years, especially after being issued to deployed military units. Although a bit cheaper than many other models, they are built to last and make an excellent choice for fly fishing sunglasses if you are someone who is rough on their equipment. They may not have been designed as fly fishing sunglasses, but they have earned a place on the list of best fly fishing sunglasses by standing up to years of hard work. The Cruz-R is something many of us have been looking for – comfortable, durable fly fishing glasses that offer a traditional design. Hobie made their name in making quality water sports products and these sunglasses are no exceptions. These are an excellent option for the angler looking for fly fishing sunglasses which will provide season after season of dependable service without breaking the bank. The Frontman is definitely in the front of the pack when it comes to best fly fishing sunglasses; however, they are not without their drawbacks. Although the lenses offer top notch polarization, clarity and contrast of the wrap around design do sometimes result in fogging, even with anti-fog coating standard. Despite these negative features, their quality material and craftsmanship means they are still a top choice for fly fishing sunglasses. However, I would recommend them for warmer/saltwater climates. Lifetime- if purchased from an authorized dealer. 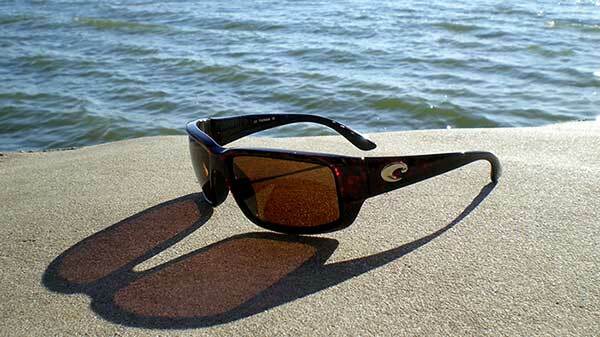 Costa sunglasses are designed specifically for anglers and are legendary for their quality, performance, and fit. The Fantail not only lives up to this reputation but may even set the new standard for fly fishing sunglasses. The frames form the basis on which the sunglasses are built. Costa utilizes co-injected nylon construction with a wire core matched with low-profile stainless steel hinges. This is to ensure this foundation is as solid as possible. Of course, the heart of any sunglasses is the lenses, and as impressive as the frames may be the lenses that are even more advanced. Not only do Costa lenses block 100% of UV A/B/C, eliminate almost all yellow light glare, increase color contrast and provide superior polarization, but they are also available in either glass or polycarbonate versions. As I said earlier, Costa designs their sunglass specifically for angling, and the fantail is no different. A water repellant coating provides continued clarity even when subjected to spray and the stainless hinges resist corrosion even that associated with salt water. Plus, the superior polarization allows the anglers to quickly and easily see, identify and target their favorite species – a must for any fly fishing sunglasses. The one downside to this is that although the Fantail excels on the water, they flounder like a goony bird when on dry land. 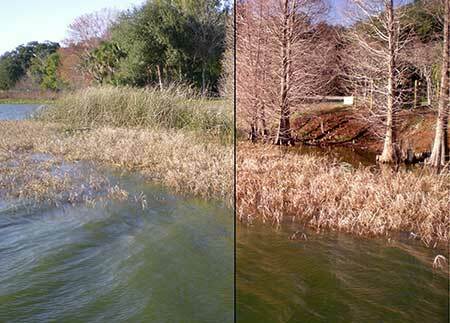 This is due to the combination of polarization and color contrasting properties that tend to wash out the browns and yellows typical in this environment. Meaning, they may not be the first choice for other sports such as hiking, mountain biking or hunting. This type of quality does come at a cost, and that means the Fantail is one of the most expensive choices for best fly fishing sunglasses. However, each pair is backed by a lifetime warranty. Although it is not intended to cover normal wear and tear, Costa has an excellent reputation for addressing uncovered repairs at a reasonable price. If you are in search of a new pair of fly fishing sunglasses you owe it to yourself to at least try a pair of Costa Fantail. See for yourself if the old saying “you get what you pay for” doesn’t reinforce the wisdom of owning a pair. See more colors of the Costa Del Mar Fantail sunglasses here. Maui Jim is another company that made a name for itself by providing a wide variety of products and apparel specifically designed to withstand the demands of an aquatic world. 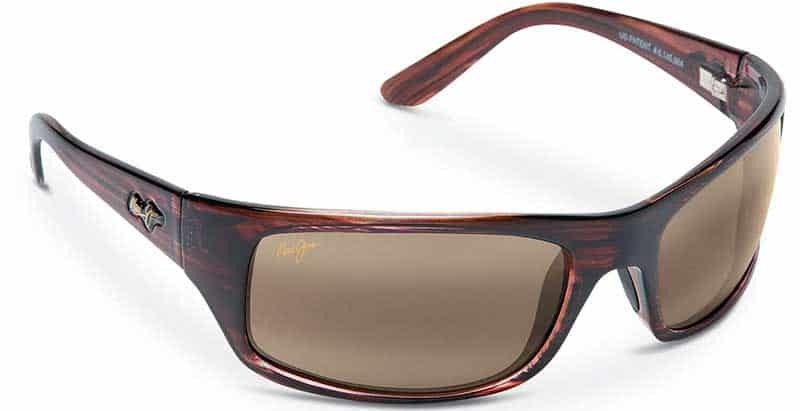 Surfers, boaters, and anglers have learned to depend on Maui Jim to provide top-notch sunglasses for years, and the Peahi is but their latest design, and this modern design certainly makes it a contender for best fly fishing sunglasses. The cellulose propionate frames are not only lightweight and impact resistant but also hypoallergenic and designed to provide a consistent fit at any temperature, a must when adventures can take you to the Equator or Poles. Add a set of Polarized +2 technology lenses, specially designed to provide excellent visibility and protection from glare off sand, snow or water, and exceptional color contrast. Now you have an excellent choice of fly fishing sunglasses. Of course, you will still enjoy protection from the full range of UV A/B/C rays too. The Peahi wrap around design will not only provide extra peripheral protection but also makes for a comfortable, day-long fit on a variety of face types. Whether you have an oval, round, square, pear or diamond shaped face, these could still be the fly fishing sunglasses for you. Plus, due to their corrosion resistant components including nickel/silver alloy hinges, special anti-salt treatment, and silicone nose pads, the Peahi will provide this protection for many seasons to come. If there is a downside to selecting the Peahi, it would be the limited frame/lens color selections. But the trendy fashion conscious burgundy tortoise frames are equally at home on the deck of your fishing boat or famous nightclub, so this is not too much of a problem. As one of the higher end models of fly fishing sunglasses available, the Peahi do cost a bit more than some may be expecting as well, which may be a disadvantage for beginners or those on a tighter budget. The Peahi by Maui Jim are an excellent example of why buying your fly fishing sunglasses from a company experienced in developing marine products is never a bad idea. This is what Maui Jim does, and it shows. The Peahi delivers everything the water-borne sportsman is looking for, and they look good doing it. 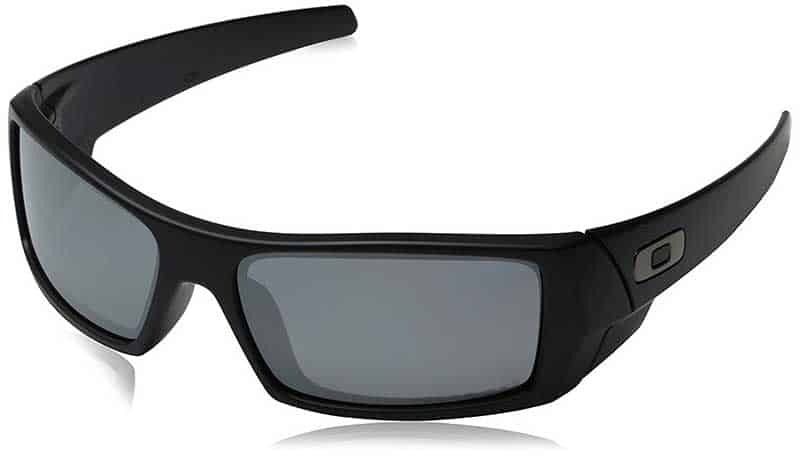 The Gas Can by Oakley does not look like any of the other fly fishing sunglasses reviewed here because they are unlike any of the other models discussed. In fact, their design is initially not for fly fishing but rather the men and women servicing in the US military in places like Iraq and Afghanistan. But after being proven under those harsh conditions, many returning military members who also enjoy fishing decided to make them multi-purpose – and it worked very well. 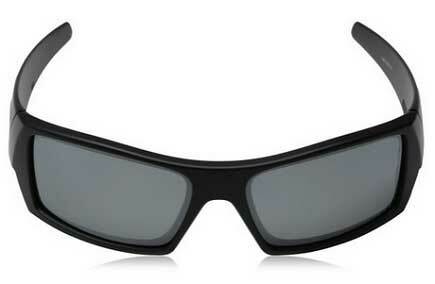 Although the Gas Can may not have been designed as fly fishing sunglasses, they work and work well because the design includes all the features needed to do so. The O-Matter frames are tough, and their continued service in two war zoned proved that. The polarized lenses, a must for anglers, are not only high quality but are also available in a wide range of colors. It's all available with an optional Iridium coating to reduce scratching. Plus, their lightweight design allows for long term wear without discomfort or pinching and will not slip when wet or sweaty. Of course, they are not for everyone. First, they are bigger than many other models. At 66mm they will fit most adult men but women or young adults may it impossible to achieve a good fit. The design is also very aggressive, with wrap around lenses and full coverage temples. This may be a bit too “Rambo” for the traditional fly angler but is very popular with the under generations. Finally, they lack the water and salt resistance found in other fly fishing sunglasses. While this may not diminish their day to day functionality, it is likely to reduce their overall life span. So, while the Gas Can may not have been meant to spend its days as a fly fishing sunglass, they do appear to have found a second life. Their durability, quality construction and the wide range of lenses colors are more than enough to place them on the list of best fly fishing sunglasses. The fact that you can get them for a fraction of the price when compared to many other designs is a bonus. 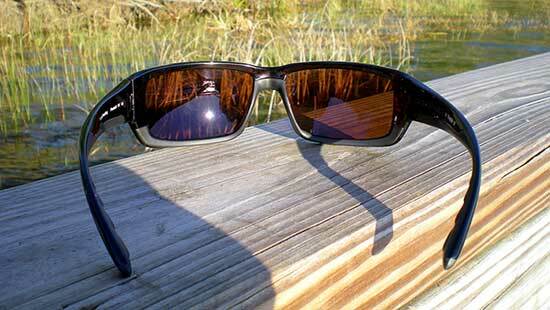 Do not forget to check out these glasses next time you are shopping for a pair of fly fishing sunglasses. 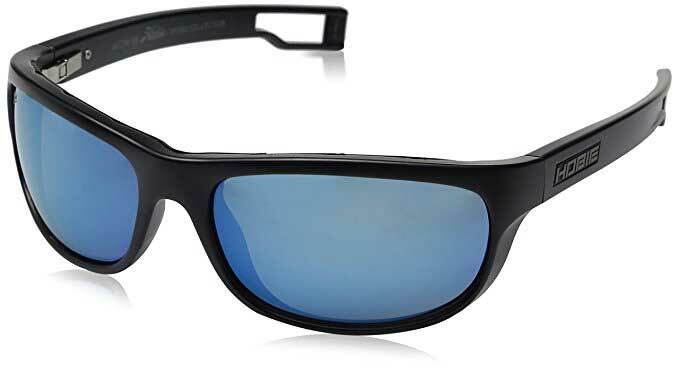 Choose from a variety of colors of the Oakley Gas Can here. There was a time when Hobie was the name in aquatic sports. There wasn’t a surfer, windboarder or kayaker around who didn’t not only know the name but was probably riding one of their products- plus wearing even more. Over the years names have been added to the game but so have players. Nevertheless, Hobie has survived by attracting some of those new players including anglers. The Cruz-R is designed to appeal directly to those modern type customers. The Cruz-R is a combination of modern technology and throwback designs. The non-corrosive polymer frames are both lightweight and extremely durable. When paired with the spring hinged temples and rubberized nose pieces, it provides hours of comfortable, pinch & slip-free wear. The low profile yet wrapped design reminds many wearers of a 1980’s rocker pattern but still provide the protection today’s buyers are looking. When Hobie designed the Cruz-R, they were designing more than a pair of sunglasses. They were actually designing the only pair of sunglasses you will need. The polarized lenses not only protect you from UV A/B/C but are also impact resistant and available in polycarbonate, glass or an RX version. The anti-fog/spray gasket not only ensures you will see clearly no matter the conditions, but it also protects your eyesight at the same time. Finally, the included retention strap that secures your Cruz-R will always be close at hand and ready. For around $100, far less than many of the other available fly fishing sunglasses, you have a sleek, stylish protection that will last a lifetime. While the Cruz-R may not be the best fly fishing sunglasses you can buy, I would consider them to be one of the best under $200 fly fishing sunglasses on the market. 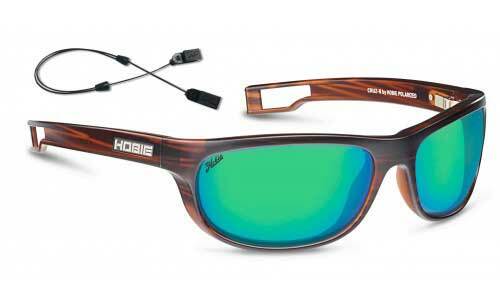 Check out these Hobie Cruz-R sunglasses for fly fishing here. Smith Optics does one thing: they produce quality sunglasses, and one of their more elite models is the Frontman. Like the Gas Can by Oakley, the Frontman was originally designed as tactical sunglasses. However, Smith quickly realized that there was a second market to be conquered and began offering them as a top of the line fly fishing sunglasses as well. The Frontman does not have the wide range of frame/lens combinations available in the other models. However, it is available in the colors most beneficial in a marine environment - including a mirrored finish. Plus, the high-quality optics offer superior protection from glare & UV A/B/C while the”Chrompop” finish enhances detail and cause colors to pop. The lenses are advertised to alter slightly as light conditions change and even allow the wearer to use a smartphone - something many polarized lenses interfere with. Did I forget to mention they also come with an anti-fogging treatment standard? So why isn’t the Frontman on top of the list? A lack of ventilation. While the wrap around design does offer a high level of protection from all angles, it also means the frames sit close to the face, which translates into a tendency to fog. Despite the standard anti-fogging treatment, this still appears to be a problem when moving from one extreme temperature to another. Let's say, an air conditioned car to a sun-baked stream. To be honest, this is a common problem with many wrap-around design sunglasses. It is not something I would expect from a manufacturer such as Smith Optics, nor in a pair of sunglasses costing as much as the Frontman. However, despite the potential fogging problem, the Frontman still deserves a spot on the list of best fly fishing sunglasses. Yes, you may need to invest in a quality anti-scratch cleaning cloth, but this negative is far outweighed by the quality construction and clarity they will be sure to provide for many seasons to come. See more styles and colors of the Smith FrontMan sunglasses here. 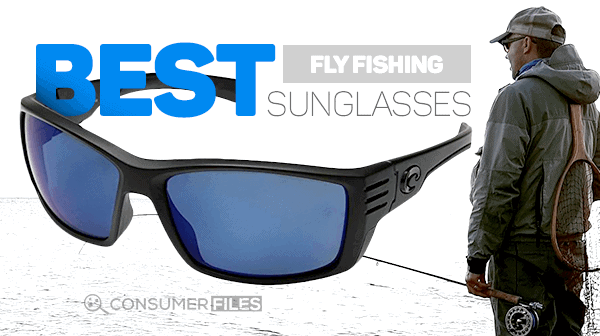 There you have it – the best fly fishing sunglasses available. Review the information, check out your favorite shop, and see which pair is best you. Just make sure you get your pair of fly fishing sunglasses because having protection from the sun is as important as finding the right fly. Check out the Costa Del Mar Fantail sunglasses here. C﻿osta Del Mar, Official Brand Website. Mauji Jim, Official Brand Website. Hobie Polarized, Official Brand Website. What are Polarized Sunglasses?, Sunglass Warehouse. Keeping Your Eyes Healthy: Wear sunglasse﻿s, National Eye Institute. Sungla﻿﻿sses: More Than a Style Statement, RUSH. Stylish Safety: Engineering Sunglasses, Illumin. Fly Fishing Supplies: Polar﻿﻿ized Fishing Glasse﻿﻿s, Trout Fly Fishing.